The Faith to Action Steering Council is a policy-making organ, which lends strategic direction to the Network. The Council comprises of representatives of Network Members elected by Members’ General Meeting. The Council members serve a three-year term renewable once. Each Council term elects its Chairperson and Vice Chairperson. The Chief Executive Officer serves as the secretary to the Council. Peter has over 17 years experience as an advocate for the vulnerable, especially children and youth. During his tenure with DSW, Mr. Munene has established strong partnerships with parliamentarians in Tanzania especially Tanzania Parliamentarians Aids Coalition (TAPAC) and within regional bodies like the East African Community (EAC) and the Southern African Development Community (SADC). Previously, Mr. Munene has served as Kenyan delegate to the International Labour Conference (ILO) in 1998 and 1999 and participated in the drafting and the negotiations leading up to the adoption of the ILO Convention 182 on the Worst Forms of Child Labour. He was a member of the International Steering Committee of the Global March Against Child Labour, an international campaign against the worst forms of child labour. Mr. Munene has worked for the African Network for the Prevention and Protection Against Child Abuse and Neglect (ANPPCAN), a continental child rights organisation represented in 22 African countries as Head of Child Labour Department, strengthening the ANPPCAN Nigeria Chapter and establishing the ANPPCAN Zambia Chapter. Mr. Munene has a BA in social work from University of Nairobi, Kenya and Diploma in Combating Child Labour, International Training Centre, Turin, Italy. He is currently pursuing Masters in Business Administration (MBA) offered by Maastricht School of Management (MSM) and Eastern and Southern African Management Institute (ESAMI) in Arusha – Tanzania. Dr. Francis Kuria Kagema, 49, is the Executive Director of Inter-Religious Council of Kenya a position he has held since 2008. Before then he served as Programs Director and head of the IRCK secretariat for a period of six years. Dr. Kuria Is currently also the Secretary General of the African Council of Religious Leaders-Religions for Peace. Before joining the Inter-Religious Council of Kenya, Dr. Kuria worked as the National Coordinator for the Small Business Network, an organisation advocating for small and medium enterprises. 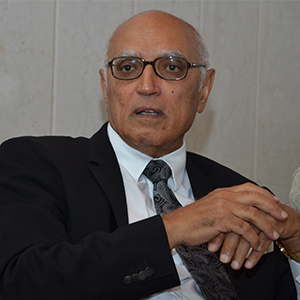 He also worked as a Financial Analyst at the Nairobi Stock Exchange for six years and as a volunteer with St. John Ambulance Brigade where he served for 16 years, retiring as Assistant Commissioner, Training and Operations in 1998. A holder of a degree in Veterinary Medicine and Surgery, Dr. Kuria is married with four children. Saifuddin Ahmad is the founder and CEO of MADE in Europe, focusing on working with young Muslims in the UK and more widely across Europe to mobilise them to get involved in tackling and responding to international issues such as health, poverty, climate change and conflict. He was also the CEO at Muslim Aid, a UK-based humanitarian and development agency working in over 70 countries worldwide. For over 3 years he led a programme of organisational development doubling its income and establishing the organisation as a key global player in the development sector. While working at Muslim Aid, Saifuddin saw the potential for the engagement of young Muslims in global work for social justice and to that end set up MADE in Europe in 2009. Dr. Emma Rachmawati, Dra., Mkes, is currently the Dean, Faculty of Health Science at University of Muhammadiyah Jakarta – Indonesia. She is a Chief of Association of Muhammadiyah Public Health Higher Education Institution, Indonesia (APTKMMI), and member of the various National Boards (as a Treasury of Indonesian Public Health Higher Education Institution (AIPTKMI) and Treasury of Indonesian Public Health Association (IAKMI); She has served as an Executive Secretary for Steering Committee of HPEQ for Public Health (World Bank- Ministry of Education-IAKMI-AIPTKMI); and as a Head of Free Smoke Area Team at UHAMKA. She has written various papers and is active in different advocacy work on many public health programs. Dr. Huber served on the expert international committees for the World Health Organization and the International Planned Parenthood Federation that produced the Global Handbook for Family Planning Providers and newly developed family planning guidelines for community health workers. 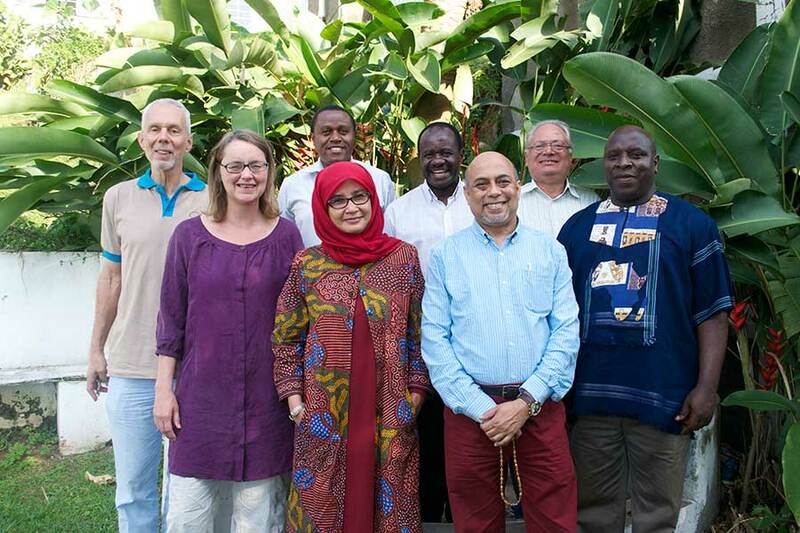 As co-chair and board liaison for the Family Planning/Reproductive Health working group of Christian Connections for International Health, he works closely with leaders in Christian health associations and Islamic health networks in Africa. Prof. Dr. Ahmed Ragab is a professor and senior consultant of reproductive health and sexual health at the International Islamic Centre for Population Studies and Research, Al-Azhar University. Currently, he is providing a consultancy for the European Union as a Key Expert of Reproductive Health for the Population and Reproductive Health Sector, from November, 2014 till end of July 2016. He is a member of Ethical Committee of the International Islamic Centre for Population Studies and Research, Al-Azhar University, a member for the Advisory Committees for African Network for Social Accountability (ANSA) 2006-2010 for North Africa and, a member of Africa Faith Based Organisation, Durban, South Africa and the vice-chair person of the global network of faith based organisations, the Faith to Action Network. Prof. Ragab has an extensive track record in designing strategies and Programmes which employ faith-based approaches to tackle maternal and newborn mortality, gender-based violence, female genital mutilation/cutting and improve reproductive health outcomes in Africa and Asia. His experience covers capacity development, advocacy, research and service delivery in diverse aspects of reproductive and sexual health. He has several publications (books and articles) that deals with reproductive and sexual health, Ethics, Faith based approach, HIV/AIDS and methodological issues in reproductive health research. He was awarded several awards for his work and dedication for maternal and child health. He worked in areas of crisis and armed conflicts like Somalia, Darfur Camps, Iraq and Yemen. His work in Somalia for eradication of Female Genital Mutilation was recognized by UNICEF, under the section of “Leaders on Behalf of Children in the World” in its report 2002, page 19. He holds a PhD and three Masters degrees: A master’s Degree in Applied Population and Reproductive Health Research from the University of Exeter, UK, a Master’s in Gynaecology and Obstetrics from Al-Azhar University, Egypt and a European Master’s degree in Bioethics from the Catholic University of Leuven, Belgium. Canon Grace Kaiso is a theologian and an ordained minister with the Anglican Church, who serves as the General Secretary of the Council of Anglican Provinces of Africa (CAPA). He was trained in Uganda, New Zealand and Canada and has been actively involved in the issues of urban Ministry with focus on empowerment of low-income communities. Reverend Grace Kaiso worked with World Vision International as a project manager and facilitator of urban projects in Uganda. While serving as the Executive Secretary of the Uganda National Council of Churches for ten years, he played a key role in advocacy for human rights and good governance in Uganda. Canon Grace Kaiso currently serves as the Chairperson of the Faith to Action Network, the global network of faith-based organizations promoting family health and wellbeing. The Advisory Council is a team of experts, personalities, donors, and representatives from faith organizations. Its role is to leverage support, resources, credibility and provide visibility to the network. Dr. Abdul Mu’ti is a senior lecturer at The State Institute for Islamic Studies, IAIN Walisongo, Semarang. Mu’ti obtained his Masters degree in Education from Flinders University of South Australia and Ph.D in Islamic education from The State Islamic University Syarif Hidayatullah, Jakarta. His major research is education and religious pluralism. 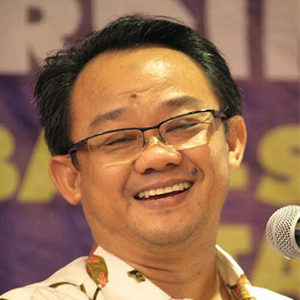 Apart from his position as a lecturer, Mu’ti also serves as executive director of Centre for Dialogue and Cooperation among Civilisations (CDCC), Jakarta. 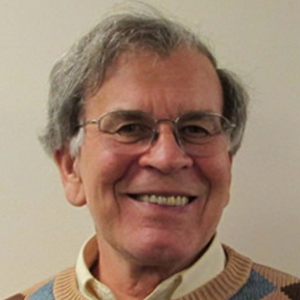 Ray Martin serves as Executive Director Emeritus for International Health a network of over 500 organizational and individual members promoting international health and wholeness from a Christian perspective. He served as Executive Director from 2000 to 2014. He has 45 years experience as an international development and public health specialist managing the design, implementation and evaluation of large health and population programs. In a 25-year career with USAID, he was chief of the Health, Population, and Nutrition offices in Zaire, Pakistan, and Cameroon. He also served in Ghana and Morocco with USAID. From 1992 he worked several years on African programs as a public health specialist at the World Bank. Ray Martin’s international career began as a Mennonite volunteer in community development in Somalia and in refugee development in Tanzania. He has a B.A. in economics from Goshen College, Indiana, an MPH degree from Johns Hopkins School of Public Health. He is fluent in French. In October 2012, Ray Martin received a Lifetime Achievement Award from the International Health Section of the American Public Health Association and in September 2013, he received the Johns Hopkins University Knowledge for the World award for alumni who exemplify the Johns Hopkins tradition of excellence. He is a strong advocate of closer collaboration between global developmental institutions and civil society, including the faith community. Professor Dr. Gamal Serour is the Director of the International Islamic Center for Population Studies and Research at Al-Azhar University. Serour, an Egyptian, was President of the International Federation of Gynecology and Obstetrics (FIGO) from 2009-2012. He joined the FIGO Ethics Committee in 1994 and became Chair in 2003. Has authored and co-authored numerous papers published in international, regional and national journals and has edited various books. He is a reviewer for several international journals, and often addresses scientific meetings. Prof. Serour has received numerous National Awards and Honorary Memberships in Obstetrics and Gynecology Societies worldwide.